Bring…Bring…Bring. Fourth of July in Walla Walla started the same as any other, with me bitterly hitting my alarm clock as I got ready to start the day. Except for this time, instead of getting ready to run a 5k with my family, I got up at 5 am to start packing my supplies for the Fourth of July event at Pioneer Park. I filled three boxes with pens, educational flyers describing the benefits of the school bond, as well as voter registration forms and special treats for those who wanted to come and talk to me at the table I had set up. After putting on my “Register to Vote” shirt, I loaded my fellow volunteer’s, James Bogley, car with my materials, a table, a couple chairs, and headed over to the park. I was excited we had a table at such a popular event in Walla Walla, but I was a bit nervous that the next ten hours wouldn’t be as productive as I would hope them to be. Pulling into the entrance of Pioneer Park, I am already in awe from the abundance of food trucks surrounding the beautiful gazebo in the park’s center. At just barely 8 am, there are easily over a hundred people eating and celebrating the holiday with their families. The park has been transformed with hundreds of American flags, the smell of delicious barbeque, and the excitement for fireworks at the end of the day. This energy reminded me of every Fourth of July I had spent before. 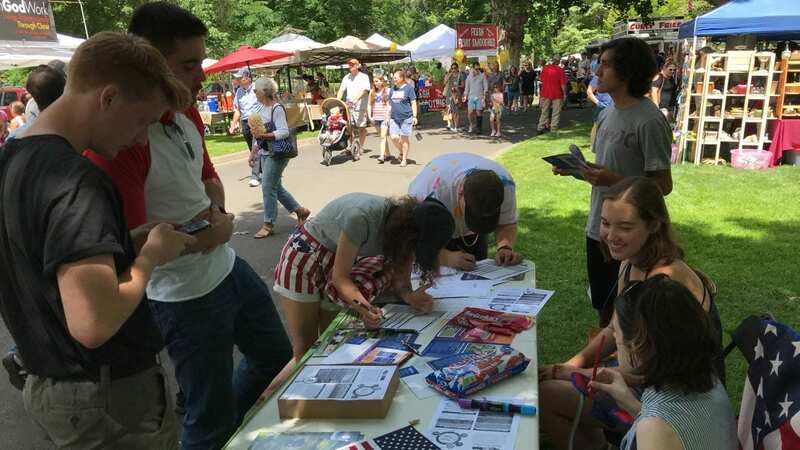 My fear of being unproductive quickly went away when the residents and visitors of Walla Walla came up to my table and engaged in conversations about the importance of being an active citizen in your community. After weeks of tabling and educating the community with little to no success, I was filled with pride knowing that these folks were finally listening and wanting to talk with me. That day, I had something for everyone, even those too young to vote. In order to experience voting and I brought Red Vines and Twizzlers and had kids vote on which one they preferred. After voting, the kids, as well as some adults, left with the candy of their choice and a better knowledge of how voting works and I learned that, similar to me, Walla Walla prefers Red Vines to Twizzlers. Not only did the people attending the event brighten my day, but so did the volunteers that I had recruited for the day. They were all extremely helpful and the diversity of their backgrounds gave new and different ways of being the most productive. 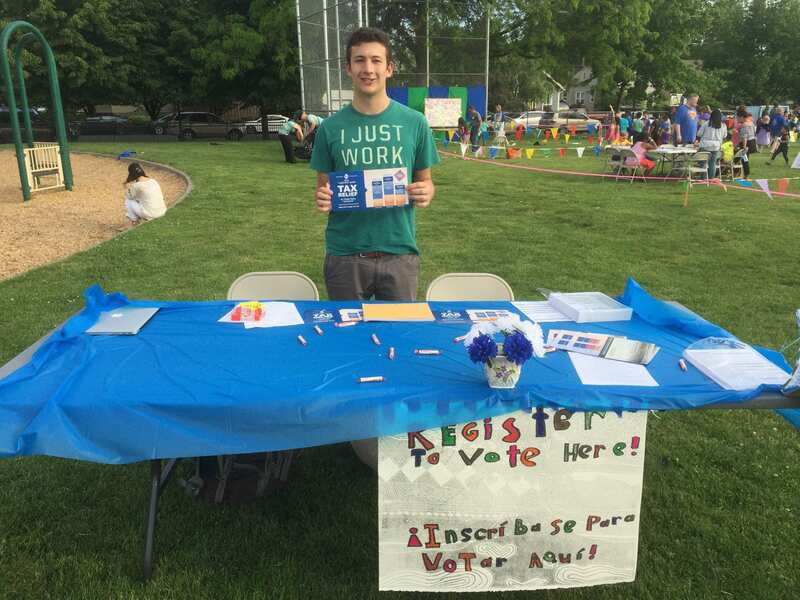 One student was apart of the foreign exchange program in Ecuador, and came to help advocate and educate Spanish speaking voters. In total, I recruited Whitman students passionate about voting, a retired professor, and many students from Walla Walla High. My volunteers cared about Walla Walla and wanted to be the one to make change. As I wrapped up day, I could not be more proud of the results. I had talked to over 500 people about the school bond. I educated kids on the voting process. 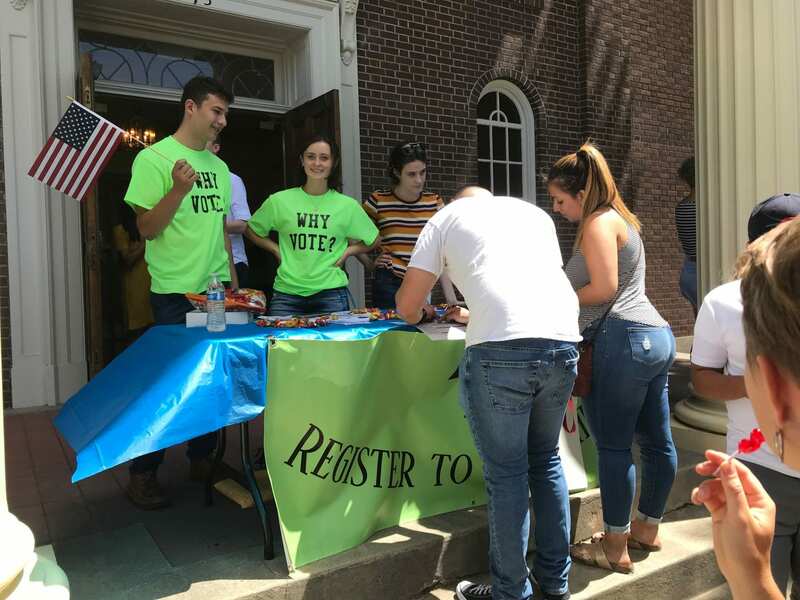 But most importantly, I got over 100 new registered voters. That was over 10 times my previous record at any event. I felt as if everything had gone right for my internship that day. Since then I now have over 35 volunteers working under me, registered over 1,000 voters, and am now running committees hosting concerts, meet and greets, and other great activities promoting civic engagement and advertising for the school bond. I am grateful for the time, knowledge, and love this town continues to give me on a daily basis. I remember when I got back home that day, I called my family and told them about my break through day and how much I missed them. It was a nice moment for me. After the call ended, my friend Segun surprised me with delicious barbeque ribs and we sat outside and watched fireworks. I felt at home. I felt proud to be an American. As an outsider, new to the community, I am grateful to be welcomed by this lovely town with such open arms, for that is truly what America is all about. Finally, please remember to vote yes on the school bond in this November election.